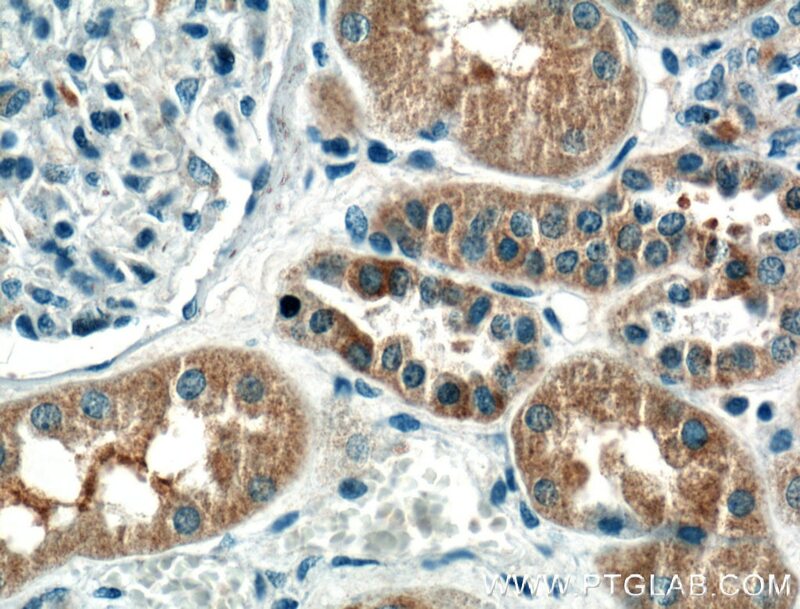 Immunohistochemical analysis of paraffin-embedded human kidney tissue slide using 60324-1-Ig( IL12A Antibody) at dilution of 1:200 (under 10x lens). 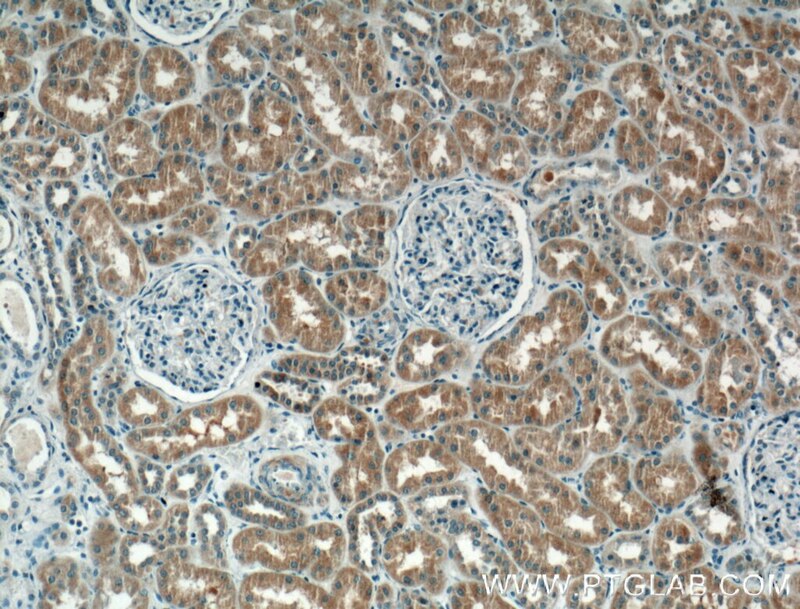 Immunohistochemical analysis of paraffin-embedded human kidney tissue slide using 60324-1-Ig( IL12A Antibody) at dilution of 1:200 (under 40x lens). IL12A is a subunit of a cytokine that acts on T and natural killer cells, and has a broad array of biological activities. The cytokine is a disulfide-linked heterodimer composed of the 35-kD subunit encoded by this gene, and a 40-kD subunit that is a member of the cytokine receptor family. This cytokine is required for the T-cell-independent induction of interferon (IFN)-gamma, and is important for the differentiation of both Th1 and Th2 cells. The responses of lymphocytes to this cytokine are mediated by the activator of transcription protein STAT4. Nitric oxide synthase 2A (NOS2A/NOS2) is found to be required for the signaling process of this cytokine in innate immunity. 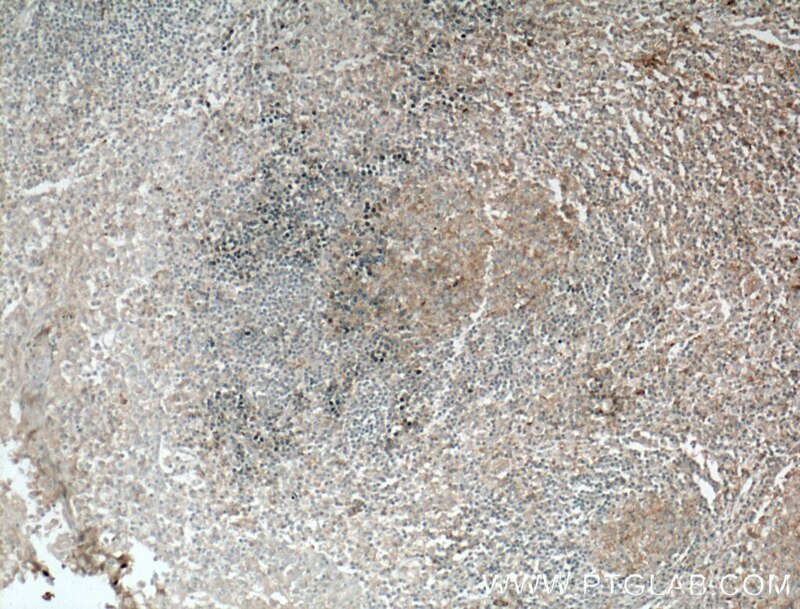 Immunohistochemical analysis of paraffin-embedded human tonsillitis tissue slide using 60324-1-Ig( IL12A Antibody) at dilution of 1:200 (under 10x lens). heat mediated antigen retrieved with Tris-EDTA buffer(pH9). 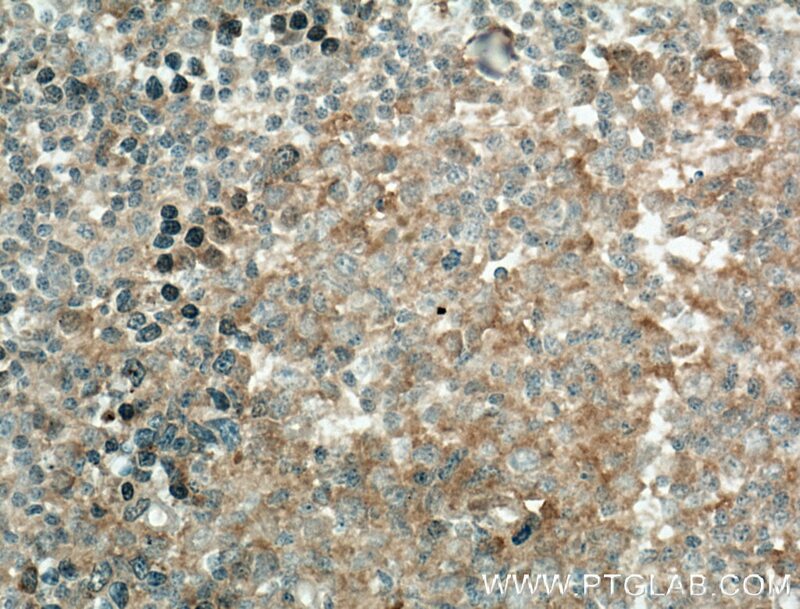 Immunohistochemical analysis of paraffin-embedded human tonsillitis tissue slide using 60324-1-Ig( IL12A Antibody) at dilution of 1:200 (under 40x lens). heat mediated antigen retrieved with Tris-EDTA buffer(pH9).